Welcome to SurgiCore Surgical Centers - your personal medical concierge service! SurgiCore is comprised of six state-of-the-art ambulatory surgery centers (ASCs) located in the Tri-State area. 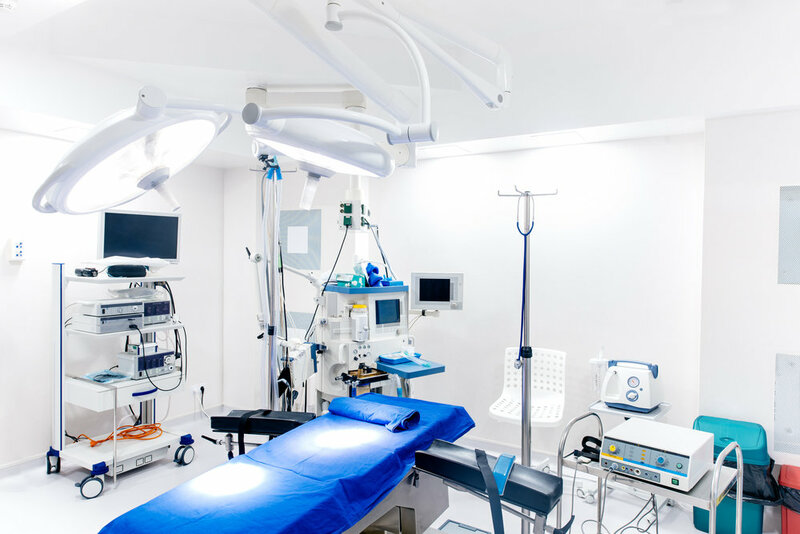 Our facilities are used by world-renowned physicians, surgeons and anesthesiologists who are committed to highly personalized patient safety and care. With access to advanced medical technology, highly credentialed physicians and convenient locations in New York and New Jersey, more surgeons are choosing to do business with SurgiCore. With an increasing number of procedures being done on an outpatient basis, ambulatory surgical centers are a top choice for physicians, patients and insurance companies. While outpatient procedures are safer, more efficient and more economical, the facilities are often run poorly. After working in the health management field for over 20 years, the founders of SurgiCore recognized a need for highly efficient, well-organized surgery centers. Four partners came together to run multiple surgical centers under one name - SurgiCore. To date, there are six centers in the Tri-State area, with plans to add three more in New York City. Thousands of procedures are performed in our centers each month using state-of-the-art technology and highly acclaimed physicians. Saddle Brook (Surgicore Surgical Center) Located in New Jersey, Saddle Brook features two operating rooms and a five-bed post-anesthesia care unit. Jersey City (Surgicore Surgical Center) Nestled in Jersey City, this facility offers 15,000 square feet of space, with four operating rooms and one procedure room. Manhattan (Fifth Avenue Surgical Center) Our NYC unit sits on Manhattan’s Museum Mile and features two operating rooms and a five-bed post-anesthesia care unit. Paterson (New Horizon Surgical Center) Situated in New Jersey, this center provides two operating rooms and two procedure rooms. Manalapan (Manalapan Surgical Center) Another New Jersey location, Manalapan features two operating rooms and a five-bed post-anesthesia room. Brooklyn (All City Family Healthcare Center) The All City Family Healthcare Center in South Brooklyn has four operating rooms and two procedure rooms. SurgiCore follows a unique business model that separates us from other outpatient surgery centers. Traditionally, a surgery center is not run in favor of physicians and surgeons. Common shortfalls include a lack of operating equipment, low payout procedures and non-performance-based compensation. With our company business model, physicians own B class shares. This creates a sense of pride and ownership, which results in steady growth. Currently, our network base includes over 450 physicians and shareholders that are introduced to surgeons. This mix of specialties allows us to serve thousands of patients in profitable niches such as Orthopedic spine, Sports medicine, Pain management and Podiatry. By choosing to work with SurgiCore, you can change the trajectory of your medical career. Work alongside some of the most respected doctors in your field with state-of-the-art equipment, imaging instruments and sterilization tools. Your patients will be given a safe, luxurious setting before and after surgery. As a result, favorable patient reviews will be written on your behalf, solidifying your reputation and growing your independent practice. SurgiCore is a true medical concierge service. We cater to our physicians. We happily accept surgeons to come in with their own vendors and representatives. Surgeons are not limited to our tools and materials, though we are happy to provide referrals and recommendations. Unified management model. All centers use our proven, time-tested management model and administration team. Our company strives for highly efficient centers that have low operating costs, higher-than-average profit margins and high patient return rates. Wide physician network base. Our management team has developed relationships with hundreds of physicians due to decades of experience in medical billing and physical therapy. These physicians are shareholders in our company and have become a valuable resource pool for new surgery centers. Focus on high payout procedures. Low payout procedures are not profitable in the long run. Our surgery centers bring in a mix of physician shareholders in profitable fields. Coupled with upgraded equipment and streamlined operations, our high payout surgeries result in lower operating costs and greater returns. Positive market outlook. The ASC care model continues to increase year-over-year. It is favored by Medicare, Medicaid and private insurers as it lowers healthcare costs. It is also safer and more convenient for patients. By 2022, industry revenue for ASCs is expected to reach $29.1 billion. A team effort is required to build a great company - and there is room on that team. To be a part of SurgiCore and take advantage of our highly rewarding and lucrative company business model, call us today. Surgicore's dedication to being an industry leader, enables our facilities to be equipped with the latest technology. With 6 convenient locations across the Tri-State area. Our locations make it easy for doctors or surgeons who live local or traveling in. Each locations trained and experienced staff has a goal to provide the best experience possible. Attention to detail and knowledge of the technology provide that.